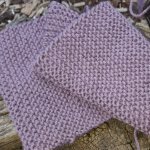 This Mitred Knitting Square Blanket Pattern is relatively easy to knit, you do need to be able to decrease and to pick up stitches along a knitted edge, but apart from that it is knitted using garter stitch and will be suitable for most beginners. My mitred knitting square blanket pattern is similar to a pattern I have used in the past for a patchwork quilt. Each square in the blanket is made using 2 colours and the squares are joined together in an arrangement that has the colourways zig-zagging across the blanket. I have not set the size for the blanket as you can make it as big as you want to by just adding more squares and more rows. 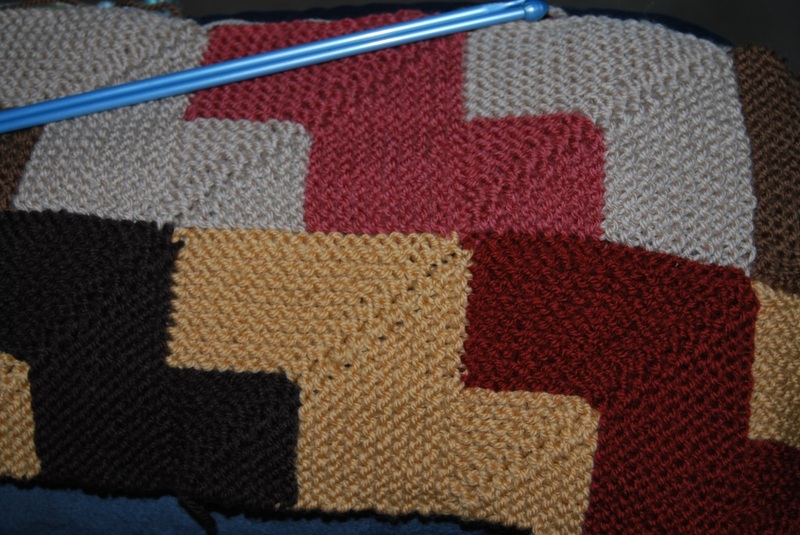 I have used 6 colours for my mitred knitting square blanket, in groups of two. Two browns, two terracotta shades and two different tan colours. I would have like the colours in each group to be closer but I am using wool that I already have rather than going out and buying more, so I am putting up with what I have got. 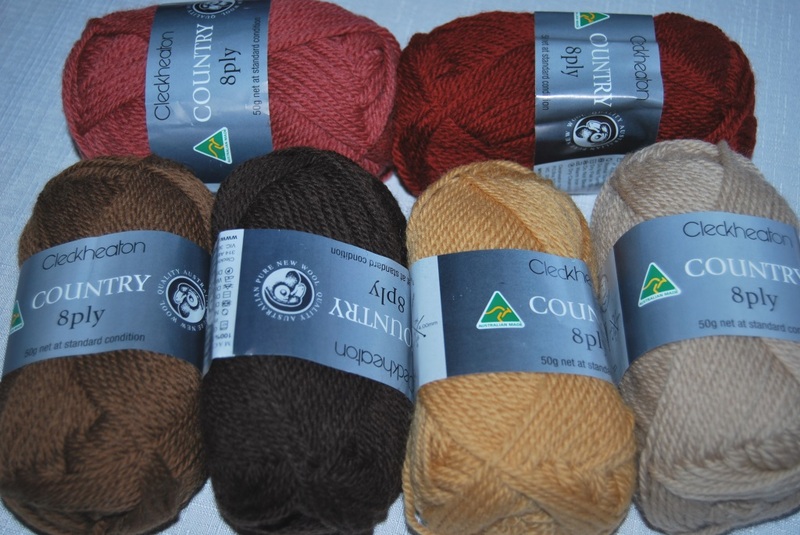 Cleckheaton Country 8 Py is a standard 8 ply wool, and I used 5.00mm knitting needles to make my blanket, but you can choose whatever ply suits your purpose. For example, if you are making this blanket for a baby, you might like to consider using a 4 ply or if you are making a bedspread sized blanket you might want to heavier ply so that it knits up faster. I have kept all of the dark wools in one row and used the lighter shades in each alternate row to try and create a shadow effect, which would work better if the colours were closer than they are. If you would like to try this blanket pattern, you can either select six colours like I have or you could just use three colours if you prefer. The first square you make for your Mitred Knitting Square Blanket will be the one in the bottom right-hand corners. Select your colours and knit as per the template below. For the first square cast on with the main colour (yellow). Each subsequent square begins with the second colour used in the previous square. Continue this pattern until you have 20 sts remaining. Change colour and continue in the pattern set until you have 2 sts remaining. K2tog and fasten off. Cast on 20 Stitches and knit to last 2 stitches, k2togtbl. Pick up 20 stitches along the top of the completed square. Pick up 20 stitches along the left-hand side of the first square on the previous row, slip the 2nd stitch on the right hand needle up and over the first stitch. Cast on 20 Stitches purl-wise. Pick up 20 stitches along the left-hand side of the next square on the previous row, slip the 2nd stitch on the right hand needle up and over the first stitch, then pick up 20 Stitches along the top of the last square in the current row. You won't have to sew any of the squares together as you have been joining them all as you have been working, but you will have to use a knitter's needle to tidy up all of the yarn ends where you have changed colours. 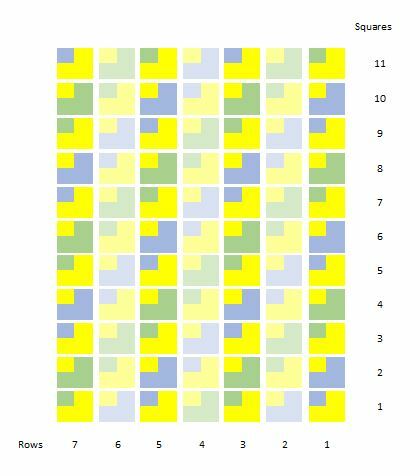 Just in case you would like to print out a copy of this Mitred Knitting Square Blanket pattern, I have created a pdf version of it that you can download.